I hope you're all enjoying the short, holiday week so far, and if you're traveling to visit with friends and family for Thanksgiving, that you all have a safe journey and a wonderful time! 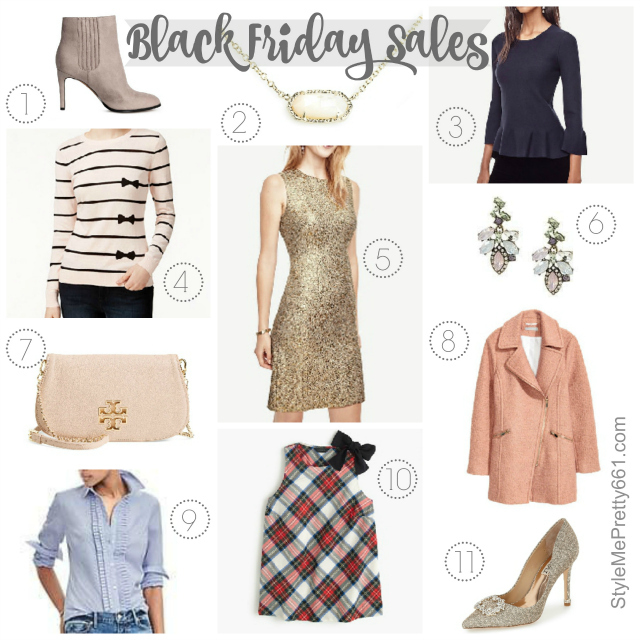 I've been a bit under the weather, so this post is going up later than I had planned, but I would be totally remiss if I didn't share all of the best Black Friday Sales with you today since many of the sales have started early! I've been doing a lot of browsing online, and let me just tell you -- there are a TON of amazing sales going on right now, some of which have never been seen before, i.e. J.Crew's current sale of 40% off everything, which is extremely rare. From their ever-popular Lady Day coats and Elsie pumps to their classic Regent blazers and more, now is your chance to nab these favorites at deep discounts before they sell out completely. All of the Black Friday Sales can definitely make your head spin, so to make things a little easier, I've rounded up all of the best ones for you below. I'll be updating this list with any changes, so check back for more great deals! I've also included several of my top sales picks by category: tops/coats, skirts/dresses, and shoes/accessories. Just scroll through the pictures in each category and tap the ones you love. Have you found any other deals worth sharing? If so, let me know in the comments! I'd also love to hear which goodies you're eyeing or have already scored!